LuAnn’s motto is “I’m Listening” and her favorite part of Real Estate comes when a client finds what they LOVE because she believes everyone should have a Wonderful Life in their home! I had the privilege of working with LuAnn Grieco as a realtor when my husband and I were looking to purchase our first home together in 2003. 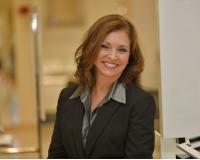 LuAnn did such a fantastic job, that we used her yet again in 2012 on the purchase of our home in Somers. LuAnn is diligent, responsive, and patient with her clients. LuAnn’s knowledge is multi-faceted and she possess superior negotiating skills. I appreciated her support and guidance with the home inspection and financing process. I would whole heartedly recommend LuAnn as both a seller’s and buyer’s agent, as well as, seek her service during my next real estate transaction.